My grandparents told me that they ate the 20 small crockpot meals that I made for them and we were ready for more. 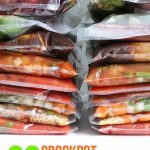 I didn’t have time for a big freezer prep session last week, but I was able to pick up a pack of ground beef on sale and make three crockpot freezer meals for them. By buying the meat on-sale and using super simple recipes, I was able to make all three meals for $22.94. 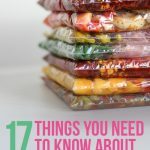 I list all of the costs on the printable grocery list and include some tips for how to save even more money making these meals. I’ve made all of these recipes several times before so I know how to modify them and still make them taste delicious. You can’t tell in the photo above, but I split the Hamburger Vegetable Soup and Sloppy Joe’s into two bags each. The original recipes yield 4-6 servings and my grandparents only need to cook a couple at a time. They also use a smaller crockpot. They use the purple polka dot crockpot in the photo above. I tested it before giving it to them and it cooks 2-3 servings perfectly in 8 hours. 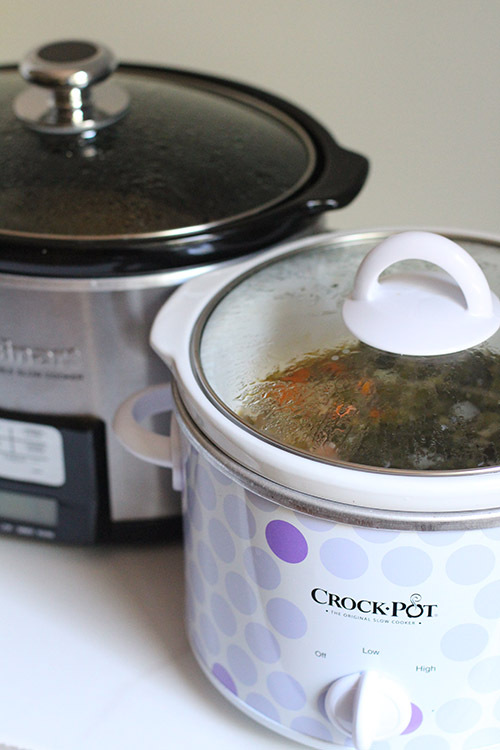 If you’re looking for a smaller crockpot, I highly recommend it. 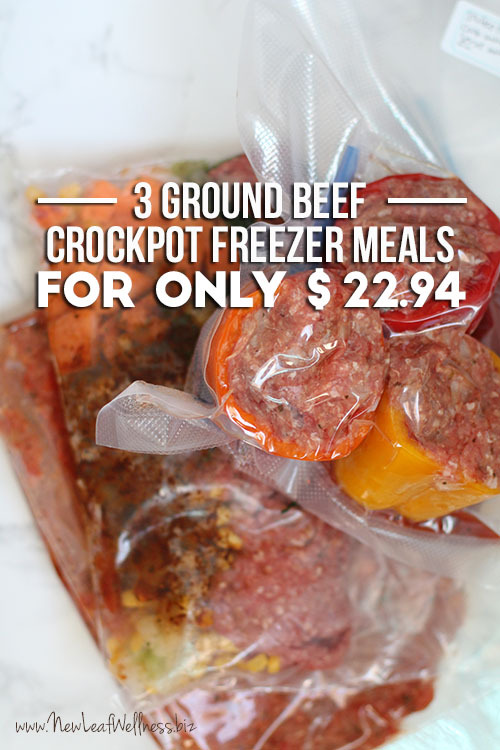 The three ground beef crockpot freezer recipes are very simple so it only took me about 30 minutes to make all three. I multitasked and made them while I was cooking dinner at the same time. Such is the life of a busy mom of four. We already took the meals over to my grandparents and I think they’re going to enjoy them. Thanks for the great recipes! One question: For the Crockpot Sloppy Joes, the instructions say “Add to crockpot with water”–how much water? It’s not stated. Opps! That’s a typo. (I probably copied and pasted the cooking instructions from the soup recipe.) No water needed. I’ll fix it now. 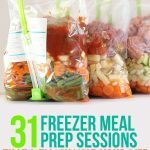 Are these meals complete or does some thing need to be added before going in the crock pot? I am thinking of elderly parents. 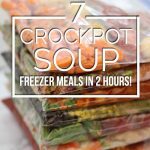 If you open the printable version you can read through the cooking instructions, but the only thing you need to add is water to the soup.